I usually only do one “Comic This Week” post, but I had already done Crypt of Shadows#1 and I really enjoyed reading Friendly Neighborhood Spider-Man#2, so I figured I could do a second one. This was a great Spider-Man story. Spidey has been stuck with a couple of red skinned children and he needs to try and find their missing mother (as asked by a neighbor in Peter’s building). So, he had to get started. That meant he called Johnny Storm to babysit. This was a very quick read and was filled with great humor and witty banter that is necessary for an effective Spider-Man title. The story is mysterious and we have no idea where it is going. There is a twist at the end of the story that was unexpected and pretty neat. Truly a lot of fun and I am excited to see where this series takes me. 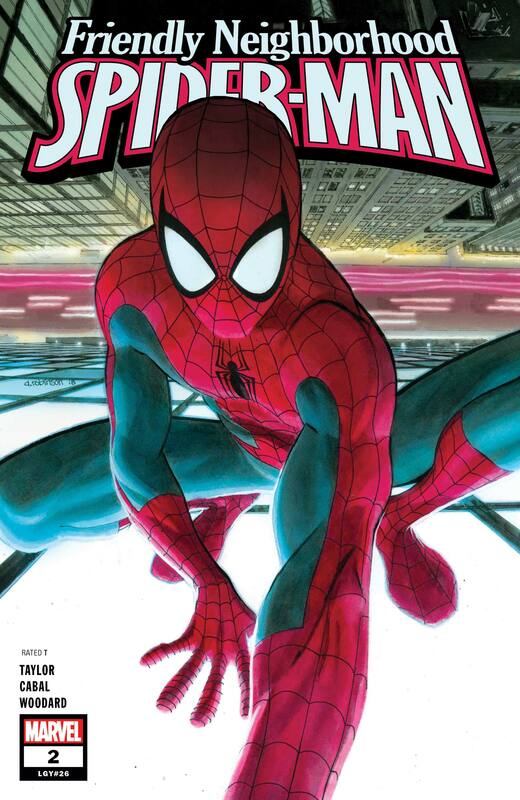 I must say that I was a little uneasy when I discovered that this series was replacing Peter Parker: The Spectacular Spider-Man, but so far, things look to be moving along well.